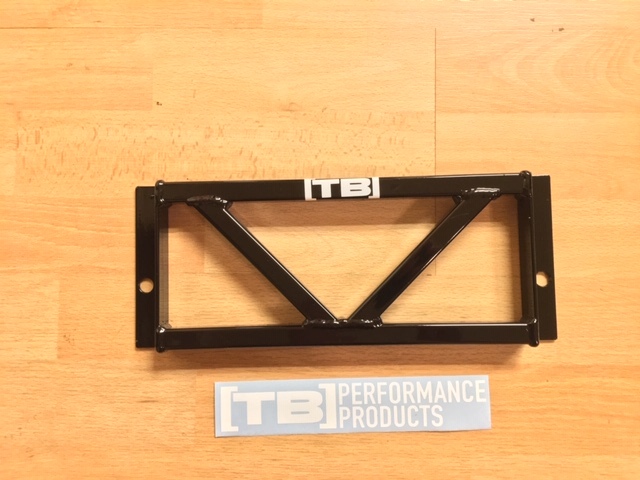 Thread: TB Performance Products Rear Mid Chassis Brace Group Buy! I have another group buy for you guys! I hope you are as excited about it as I am! This group buy is for the tbperformanceproducts.com Rear Mid Chassis Brace. This unit replaces the oem stamped steel "brace" that is about 3/4 the way down the exhaust tunnel. Each Unit is hand mig welded by yours truly here in the USA using american steel! Here are the goods! -5/8"x.060 Square steel tubing for the ultimate in strength and light weight! This is the ugly oem culprit that we are replacing. Thanks @RallySport direct! So for many people, the oem brace rattles and bangs against aftermarket exhaust systems. This drives people nuts and they end up simply removing the oem brace, after all its just a 2 pt brace, what harm could it do? Well thats where the problem lies. The exhaust tunnel on vehicles is one of the weakest spots in the cars chassis. If you think of the chassis as a sheet of paper, the exhaust tunnel is acting as a giant "crease" causing chassis deflection and wallowing along this center line. Bracing in this area is CRITICAL to maintaining a proper handling vehicle. 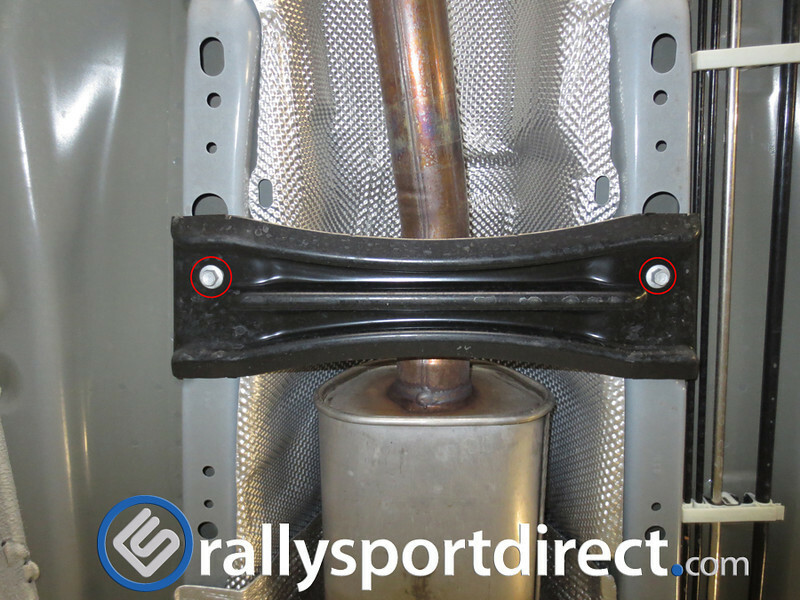 Make no mistake, this brace is not just for people with aftermarket exhaust. The OEM brace is a flimsy weak little thing. Upgrading to the TB Performance Products unit will help increase the torsional rigidity of your ride! With the TB Performance Products Rear Mid Chassis Brace, you get your cake and get to eat it too! That burly sounding 3" catback will now fit with the added clearance and youll get increased handling and control while hammering down the twisties! 1.) "OMERGERD why is it only two points! You should totally make it more!" 2.) "Its steel and steel is heavy!" -Well fortunately I am a magician(lol Im not)...This brace literally weighs in at 2lbs exactly. The oem unit weighs 2 ounces less. Thats right. 2 ounces is how much weight this brace adds. The sweat thatll bead off your face when you are sending the gnar in the twisties will add up to more than that!...also side note pro tip! Use the restroom before you drive for even more weight reduction if you are worried about 2 ounces! 3.) "Are those bolts are torque to yield, do I need to buy new ones?" No. just no. Reuse the oem hardware. 4.) "Whats teh torque spec!? I need all teh specz"
Tighten it down with your socket wrench and you are all set! I offer it in any color youd like as long as its gloss black ;P On the reals, these are already built and already powdercoated so no custom colors will be offered. 6.) "What if I am lowered?" Very good question. This unit has 1" of drop...The oem brace is around 3/8". What this means is that you wont be scraping it on every pothole or dip unless you are #airedout, #stancelyfe...but if you met those criteria this brace isnt for you anyway right?! all prices are FREE SHIPPING for united states orders(yes even you alaska and hawaii!) for international orders only, a 40 dollar flat shipping fee is added on at checkout. 5 names-150 USD 10 dollars off! 15 names-130 USD 30 dollars off! 20 names-120 USD 40 dollars off! I did something different on this group buy. Instead of waiting for the list to fill and then producing the product, I pre built and coated all these. I am sitting on 50 units in stock and ready to ship. This means that as soon as the GB closes I will pack em up and send em out! Add your name to the list by simply copy and pasting the current list and adding your user name to the next available slot. I will close this group buy Saturday the 27th of April. at this point in time I will send out the discount code to all those who participated. The code will be available for use until May 4th at which time, the code will expire. I will NOT accept late orders so please do not ask. -DO NOT sign up unless you will actually purchase at any price threshold. This means you should not come into the thread saying "add me if we get 20 names"...This is disrespectful to me as well as others trying to sign up. -Keep this thread on topic and focused on the product at hand. Please do not post in here asking for different products etc. If you have questions regarding other products, please shoot me an email at [email protected] and I will totally be happy to discuss it there. Last edited by TB Performance Products; 04-10-2019 at 02:32 AM. Edit: Sorry for adding my name to the list and then removing it, but I realized the MBRP 3" clearance is not as big of an issue as the Mountune. Last edited by TS13FST; 04-10-2019 at 05:56 AM. Put G Heinrich down for one . mine's already been removed wouldn't clear my exhaust. Nice, been wanting this piece, +1! What are the bolts for the mid chassis brace (approx under the rear seats)? TB Performance Products Rear Traction Bar(Rear Arm Bar) Group Buy!